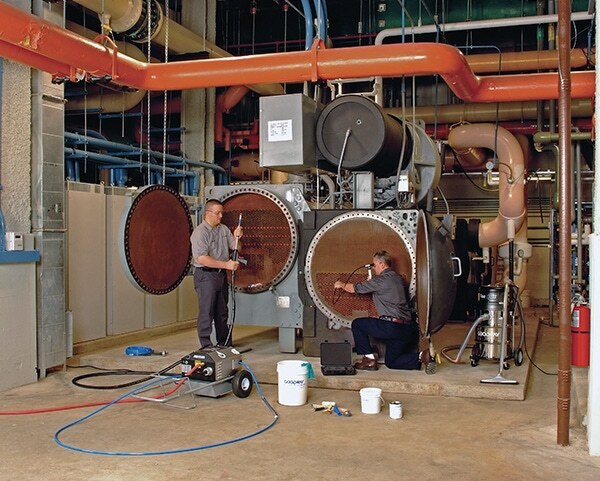 As chilled and condenser water flows through the machine, the tubes allow the heat extracted from the building to be transferred between the various water and refrigerant loops and finally dispersed to the atmosphere. 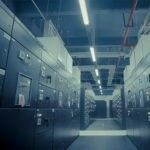 A chilled water system relies on the effective transfer of heat to cool the building without overloading the chiller and causing it to run longer than it should. If the heat transfer through the tubes is inhibited because of a build-up of scale, sediment, or slime, the chiller works harder to move heat and overcome the system inefficiencies created by the dirty tubes. The accumulation of contaminants occurs in every chiller no matter how frequently the chiller is serviced or how clean the water inside is. This buildup in the pipes is called “fouling” and engineers take it into account during system design. But when fouling accumulates thicker than what the designer assumed, the overall system loses capacity and uses more energy compared to a clean chiller. 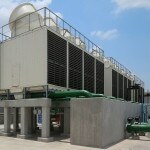 A large water-cooled chiller has hundreds of tubes and each one must be individually cleaned. For a chiller plant like The Pearl Qatar, there are literally tens of thousands of tubes totaling many miles in length that need cleaning. 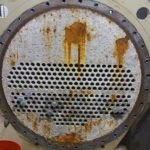 Tube cleaning in large chillers does not need to be a daunting task. The proper tools can make the job quicker and easier with minimum mess around the chiller and on the technician. A rotary tube cleaner like the RAM-PRO-XL® Chiller Tube Cleaner with TubeGuard®-XL provides maximum cleaning and corrosion protection for smooth and internally enhanced chiller tubes. The RAM PRO XL® is a portable cleaning machine with built-on wheels so technicians can quickly move the unit around the facility during preventative maintenance. The machine works with Goodway’s flexible shafts and brushes each in a variety of lengths and diameters to suit your tube cleaning requirements. 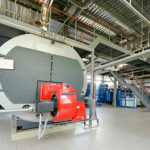 If your facility has different sized chillers needing different shaft lengths and brush sizes, Goodway’s tube cleaning machines have a quick connect option that makes switching between rotary shafts very easy. The RAM PRO XL® pumps water through the rotary shaft and loose debris gets pushed out as the brush works its way down the length of the tube. Technicians can add TubeGuard®-XL to the RAM-PRO-XL® reservoir to prevent biofilm growth and provide a layer of corrosion protection to copper and other ferrous metal tubes. The corrosion inhibitor in TubeGuard®-XL keeps protecting tubes long after the maintenance is complete and the chiller is put back in operation. 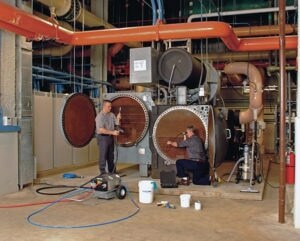 Read more posts on chiller maintenance.